Today is the last Sunday of the church year. Its official title is “the Last Sunday after Pentecost.” But it’s more commonly known as “Christ the King Sunday,” and it’s treated as a sort of unofficial feast day. Not surprisingly, we find repeated references in today’s readings to divine kingship, in particular the divine kingship of Christ. Of course, the first reading from the book of Daniel was written centuries before the birth of Jesus Christ. It recounts a vision that Daniel had of the divine throne room. 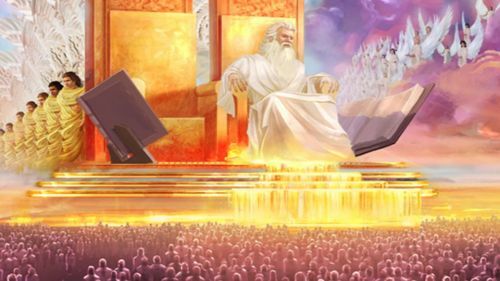 Rarely in Holy Scripture is God the Father physically described, but here, in an instance of blatant anthropomorphism, God is portrayed as an old man with white hair and white clothing seated on a flaming throne. 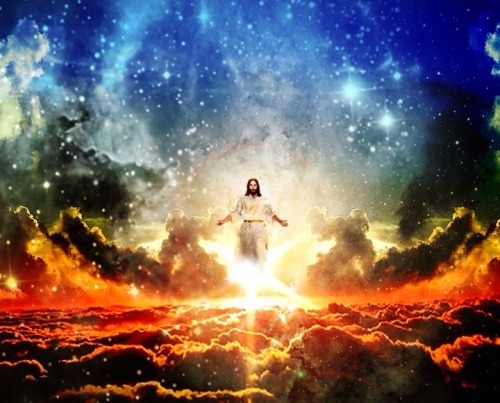 Before him is presented “one like a Son of Man.” And to him God grants “dominion and glory and kingship.” Since “Son of Man” is one of the titles of Jesus in the Gospels, Christians have, from the very beginning, understood this vision as predicting the Kingship of Jesus. The reading from the Revelation to John, like the reading from Daniel, recounts an apocalyptic vision. Here Jesus Christ is explicitly identified as “the ruler of the kings of the earth.” And his kingdom is said to be a priestly kingdom, composed of “priests serving his God and Father.” Now, to make things perfectly clear, John is not talking about ordained ministers when he speaks of priests. He is referring to all the baptized; in other words, he is talking about you!